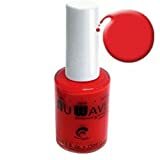 NU Wave Antifungal Nail Polish Review - Value for Money? Toenail fungus is certainly a real cause for concern. It disallows you to confidently wear open shoes and expose your toes to the rest of the world. However, finding one that does the trick can also be quite a daunting prospect as many of them will take some time to cover up the symptoms or simply just fail in covering them up entirely. Nu Wave antifungal polish has been specifically designed and formulated to deal with these bad problems. It helps alleviate the fungus infection and keeps it from spreading, also allowing air to pass through the polish. On the other side, you could use normal nail polish, but this will only cover up the problem and could potentially block out any air that will cause the fungus to spread even further. Marketed as a product for nail polish, Nu Wave products have gained a great reputation for alleviating the symptoms associated with toenail fungus. The polish is also quite stylish in terms of the colors and this will make it a great choice for covering up the fungus whilst giving it enough time to heal and disappear. Does Antifungal Polish Work On Toenails? Nail polish can be used on any form of nail and the only real thing you need to be concerned about is whether or not you might be allergic to the product. Any solution containing antifungal properties will be perfect for alleviating the fungus and clearing up the symptoms to give you the confidence to walk around with open shoes once again. Nu Wave products contain this antifungal solution and this will help to clear up the fungus problem on your toes. This nail polish also contains antibacterial properties and this could help you avoid getting caught up in an alternative infection that might also spread and be harmful to your feet. It is also worth noting that even though this product might not work as fast as many other treatments, it is much more affordable. If the fungus is absurdly too much you could consider seeking professional help, but this Nu Wave polish should definitely help clear up some of the lighter symptoms of the toenail fungus at a much more affordable rate. Does Nu Wave Antifungal Nail Polish Work? To answer this question, we need to address the reasons why people will use Nu Wave Antifungal Nail Polish. Most people use nail polish to cover up the fungus and to hide any bacterial infections, while others will use it to clear up the infection and allow the toenails to heal from the problem that arises in the toenails. Thanks to the excellent ingredients found in the Nu Wave products, it is perfect for covering up the fungus and the antibacterial and antiviral properties should also give the toenails adequate time to heal correctly. Since this polish is also available in multiple different colors, it can be an effective way of covering up the symptoms for the time being and leaving you with clear toenails. After self-testing this product, we found it to be extremely effective at fulfilling both these purposes. It might not clear up the fungus on the toes immediately, but with some time and care, you will see the fungus disappearing. The Nu Wave Antifungal Nail Polish is perfect for all stages of the fungus and this includes when the toenails have thickened due to ignoring the problem of the fungus. As we have already mentioned above, by using alternative or standard nail polish, you run the risk of aggravating the fungus and allowing it to spread even deeper into the toenails. This might the eventually require additional treatment or professional help that might be expensive. Are There Any Safety Risks Of Using Nu Wave Antifungal Nail Polish? It can be a common concern to wonder if the product is safe to use as these nail polish products are commonly worn for extended periods of time. Traditional nail polish should be cleaned off every now and again to give the feet or the nails the opportunity to heal and repair before applying it again. Failing to do so, might eventually lead to weaker nails and the nails might also become brittle and break off. The Nu Wave Nail Polish has been tested to be 100% vegan and it has been made by female podiatrists in the US and tested by multiple people to ensure that it is safe. After numerous tests, the polish has been confirmed to not have any traces of formaldehyde, camphor, or any other harmful products that could potentially cause damage or weaken the nails. As we have also mentioned, the product does offer breathable properties that allow air to pass through the polish and onto the nails, helping to alleviate the fungus and keeping any buildup of moisture from becoming a real problem. How Long Does It Take Before You Could Expect To See Results? As with any products, it is not that easy to directly determine how long it will take before you see decent results. The timeline for you to see results will all be determined by the severity of your infection and how hard it is for the remedy to make it underneath the toenails and start working its magic. The Nu Wave Antifungal Nail Polish is designed for early and mild symptoms that can be alleviated with the help of this polish. If you have been dealing with this problem for a long time, you might not find the nail polish to work as effectively and quickly as you might expect. By constantly applying the solution, you will eventually see some results, but it will also take some time and patience. The benefit of using this nail polish over other gels and creams is the fact that it can be kept on the nails for a longer time. The polish will work a little more effectively and also save you some time and trouble when it comes to the application process that constantly needs to be done with other gels and creams. Clean and dry the toenails: Since fungus thrives in moist areas, it is fundamentally important for you to ensure that your toes are dry and clean. After washing your feet, you should use a towel to dry it completely or leave it to dry in the air naturally. Trim the toenails: The fungus is generally found underneath the toes and by trimming your nails closely, you will be able to have the solution reach underneath and start the healing process. With longer nails, you will only be hiding the problem. Apply the polish: Inside the bottle, you will also find a brush and this brush is what you will use to apply the polish. By ensuring the solution is even on the end the brush, you could easily start swiping even strokes on your nails and making sure it is spread evenly. Allow it to dry thoroughly: After it has been applied, you should allow it to dry completely and this should be done with natural air and not any hairdryers. After it has completely dried out, you could consider wearing socks on your feet again. Additionally, you should also keep in mind that the brush does not need to be sterilized. Thanks to the antibacterial properties in the polish, the brush will automatically remain free of any bacteria of contaminants. For thicker toenails, it is best to file them thinner before applying the solution as well. Now that you have a better understanding of Nu Wave Antifungal Nail Polish, you should be able to decide whether it is worth your money or not. We would like to highly recommend this product for those suffering from toenail fungus in the early stages and mild fungus that could easily be healed. However, it will still be perfect if you have to deal with severe fungus over a longer time. We would like to thank you for reading this article and we would like to encourage you to share a couple of your thoughts on this product. Please let us know in the comment section if you feel this is an effective product for you or if you have any experience using it.